1 It adopts coil holder with break device. 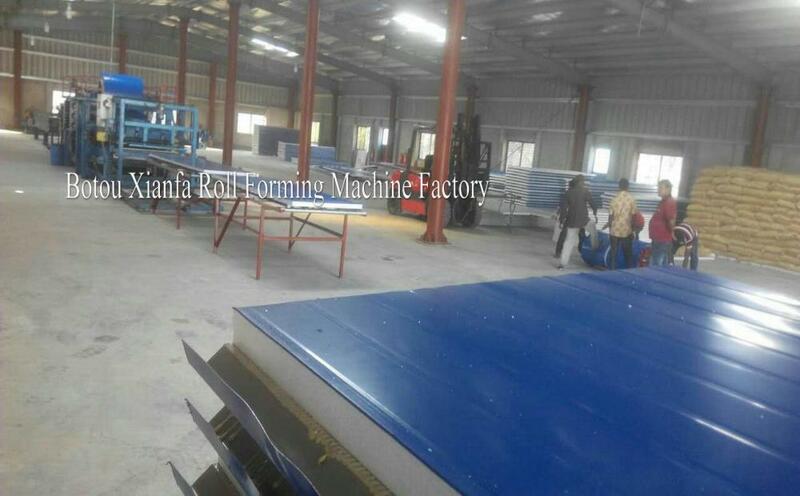 1 This part including: 2 sets for making U shape, press rib, glue, heating, combine, slotting, ending and glue device which pneumatic move up and down. 7 Reduction box: 5# planetary cycloidal reducer. 3 7inch touch screen, failure warning, number shows the mulfunction reason. 2 Pneumatic pressing device, control the cutter. And back to revious after cutting. 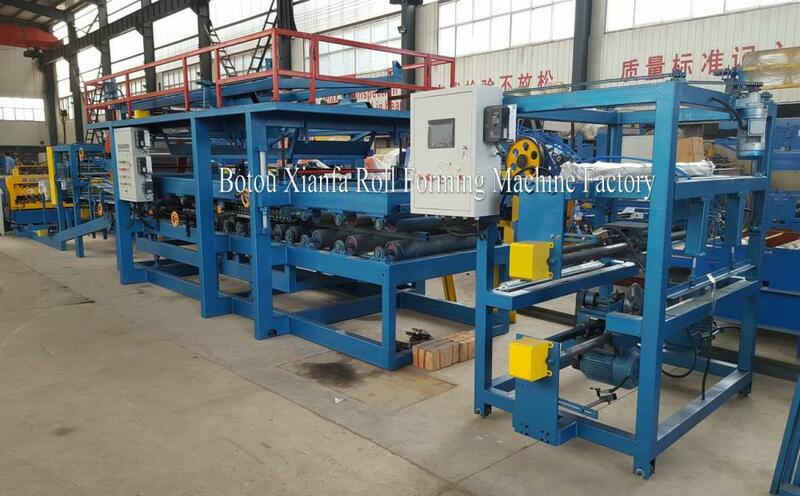 1, Slitting Machine: slitting blade 6 pairs, with rubber rollers). 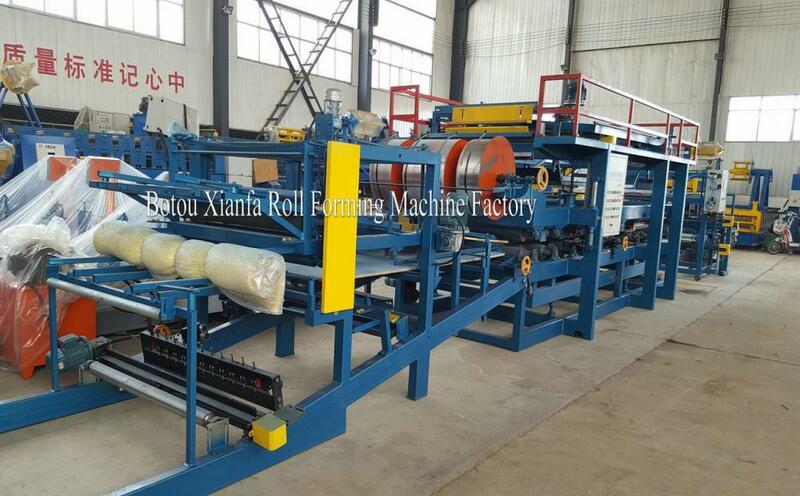 1, rockwool type sealing machine, left and right side, one for each side. 1, welding with angle iron and round pipe. 2, 4 holding rollers for each table. 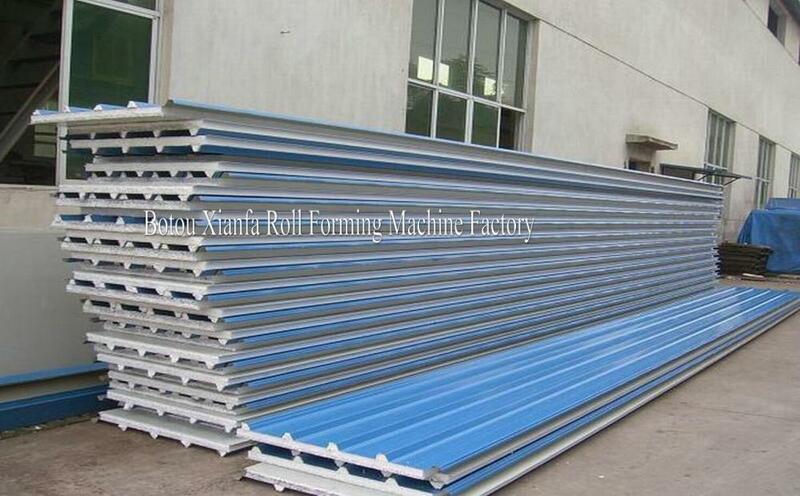 Looking for ideal EPS Sandwich Panel Making Machine Manufacturer & supplier ? We have a wide selection at great prices to help you get creative. All the EPS Sandwich Machine are quality guaranteed. 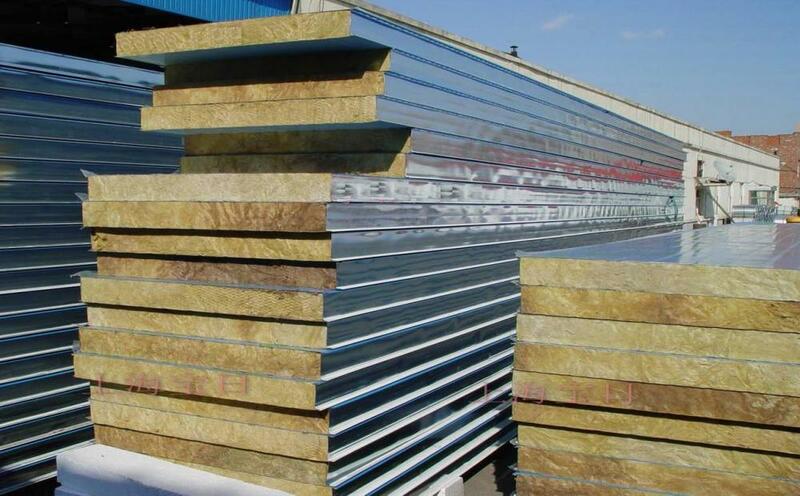 We are China Origin Factory of Rock Wool Sandwich Panel Machine Line. If you have any question, please feel free to contact us.